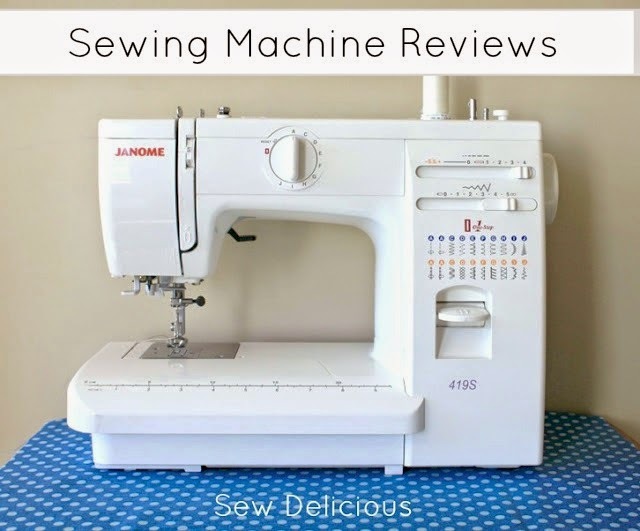 Today I welcome Julie, the owner of the beautiful boutique sewing store Sewn Studio, and she is sharing her knowledge about what to look for when buying your first sewing machine. Thanks to Ros for inviting me (and sewn studio) to be a part of her Back to Sewing Basics series. 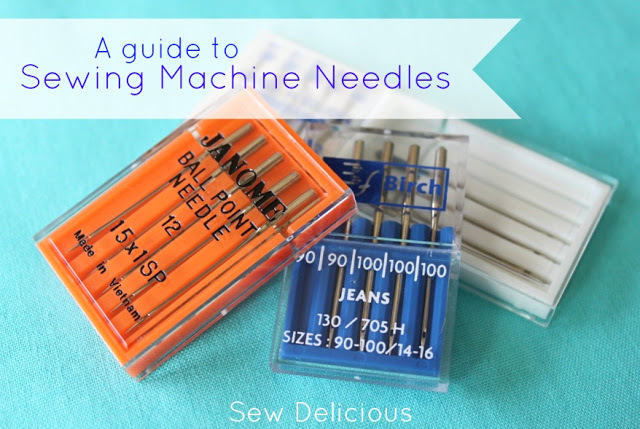 As the owner of an independent fabric shop, I have the pleasure of guiding many new sewists through the process of buying their first sewing machine and I’m glad to be here today to share that advice with you. You want to buy a sewing machine. Maybe this will be your very first machine, or maybe you’re ready for an upgrade. Either way, it’s a major purchase. 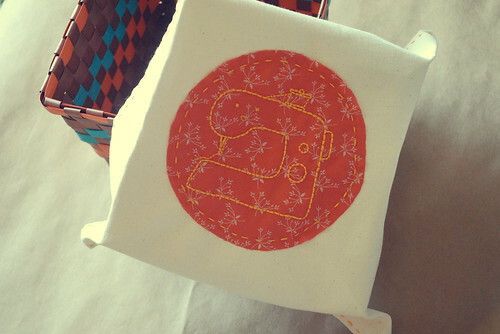 The right machine can make you feel like you can sew anything. The wrong machine can make you give it up for good. A little research, and knowing who you are as a sewist, can lead to the right machine for you. Image Credit: Sewing machine embroidery by Mollie Johanson of Wild Olive. If you’re on a smaller budget, buying a machine from a retailer (stores like Target, Walmart, and Amazon.com, and in Australia, stores like Spotlight) can be equally successful – if you know what you want. Major retailers are unlikely to provide assistance in choosing a machine. If you follow these simple guidelines, you’ll end up with a machine you’ll love. Additional Features: Sewing machine “packages” will vary greatly. You may see the same machine in two different stores, with completely different sets of accessories. Shop around and read the fine print. Compare machine features and the extras that come with the machine. Some features such as: speed control, automatic button hole, and specialty presser feet may make a machine a “better” deal. There are very user-friendly sewing machines on the market today – many for less than $200. With careful thought, you can choose the right machine to help you create wonderful projects for years to come. 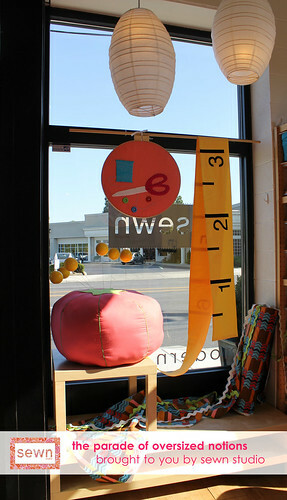 Thanks again to Ros for having me here today, and make sure you drop by the sewn studio blog to say hello! 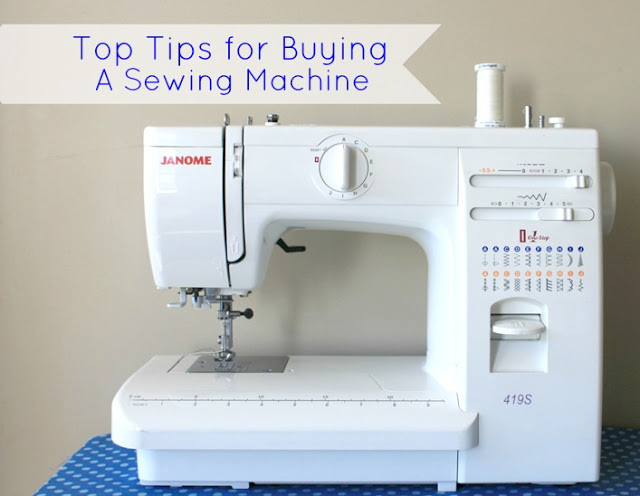 Thanks so much Julie – great information there and I certainly wish I knew a few more of those points before I bought my machine! I love my machine but I think I would have chosen more carefully had I been more knowledgeable about the different features. One thing I wish I had understood before I shopped for my first machine is that there are mechanical machines (like the old Singers and even Pfaff) and there are computerized machines. I love, love, love the needle down function available in computerized machines, i.e. you can choose to select your needle stop while it is down in the fabric. For me, this is worth paying for as you use it almost as much as the stitching function itself! On the other hand, lots of folks these days are picking up old mechanical machines at Goodwill or thrift shops. Most will allow you return the machine within a couple of days so you have an opportunity to try it out to ensure it works and/or to take it to a professional who can tell you if it is in working condition. These can be great inexpensive starters and then wonderful traveling machines. I use my mechanical machine for hauling around when I go on the road to stitch and for the most part I keep my more expensive computerized machine at home. Good luck all & sewing is tons of fun. All good advice. I think sometimes people look at the number of decorative stitches, when in reality, for someone sewing mainly clothes, they'll rarely, if ever, be used. My first machine only had two stitches: straight and zig zag, but there was a lot of play with the stitch length and width. I used that machine for 20+ years. Great advice for both beginners and those (like me) who are looking to upgrade! Thanks so much Julie 🙂 I'll be sure to share this with my readers too! In addition to the above, test drive! Take the type of fabrics you normally sew or are interested in sewing with you. Don't be hurried by the sales staff and you should not feel intimidated. If buying used, learn the machine's history from the current owner. Thread the machine, check the lighting. If buying from a dealer, chat with them to see how comfortable you are with the staff, you are buying the dealership as well as a machine. I was hoping to find some used sewing machines in Florida, it's more of a hobby than something I find myself doing often. Got some important idea from the guidelines and now i know how to make a choice. And also know the performance check.